Downstairs in the main salon we can provide you with all your beauty essentials including waxing, tinting, eyelash perming, electrolysis, threading, red vein and skin tag removal, ear piercing, special occasion make-up or make-up lessons and eyelash extensions. 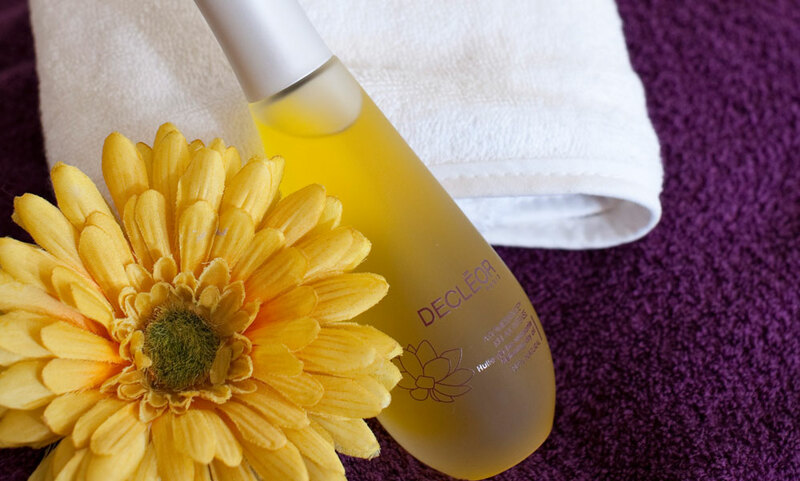 Our Decleor day spa has a dedicated relaxation room and two couples' treatment rooms where you can enjoy a treatment with a friend, mum or partner, while our changing and showering facilities will make your visit all the more comfortable. Centred on relaxation we mix traditional massage with newer therapies such as Indian head massage, reflexology, hot stone massage, aromatherapy and the Universal Contour Wrap for inch loss and toning. 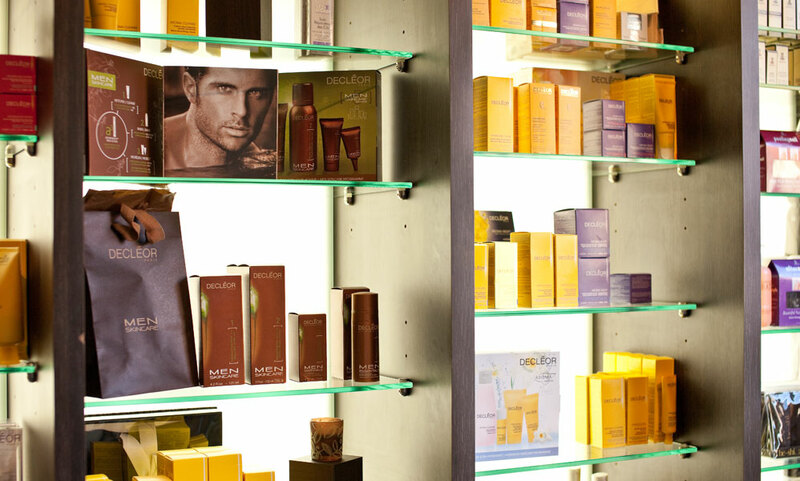 Decleor's range suits our calm and tranquil surroundings perfectly with its 100% natural aromatherapy and phototherapy-based products, and there are luxurious facial treatments and products to target all skin types. The various body envelopments and localised treatments can target problems such as cellulite, tired heavy legs and stretch marks, purify back and chest area, or detox the entire body. 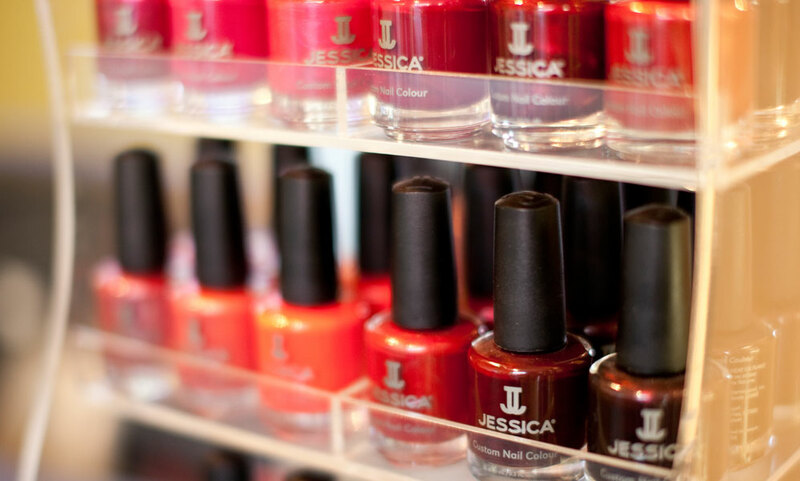 Jessica provides us with our nail care range, with a treatment plan to fit each nail problem - you can have great looking natural nails without the need for extensions. 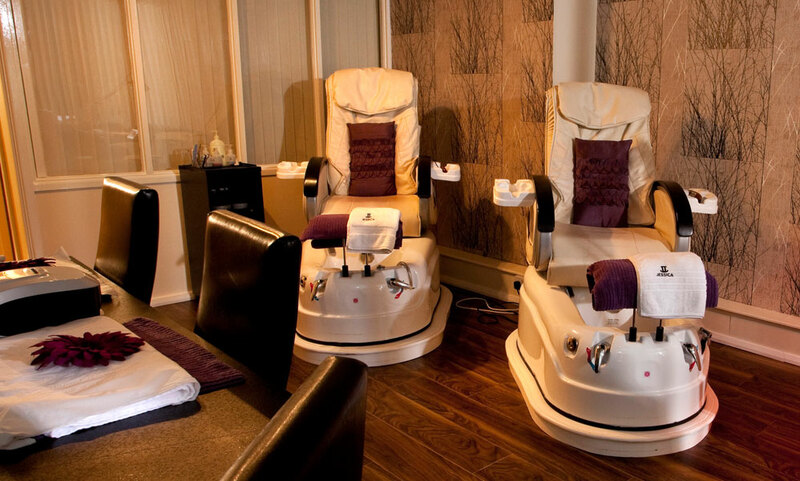 Our deluxe pedicure chairs give you a mini back massage while one of our qualified therapists gives you a luxury Zen spa treatment pedicure, what we call "A Facial for the Feet" it's a year-round must have! All in ONE treatment - Lipofirm Plus is non-invasive, uses no needles, gives no pain and no downtime! The new Lipofirm Plus is the ultimate solution for non-invasive inch loss, body sculpting and cellulite removal. It uses ultrasonic waves to instantly and permanently destroy fat cells providing patients with a non-invasive, no downtime solution to reduce localised fat deposits and body circumference. Been going here for years and cannot fault the place. Most recently myself and my mother had our nails done with a glass of wine each. Katherine and Vicky were brilliant. Katherine managed to fit in a french manicure for my mother which was much appreciated as it hadn't been specified at the time of booking. Am booked in again and am looking forward to it. My first visit to Jeanette Kid spa and I loved it. Friendly staff, calming atmosphere and the treatment exceeded expectations. I would recommend to family and friends. This is a place to relax and really enjoy being pampered. The service given by staff is excellent and the products are beautiful to use, wouldn't be with out them!! Without a doubt the best massage I have ever had! treated like royalty from start to finish, so relaxing and its great to have so many tea options at the end of it! I certify that this review is based on my personal experience of Jeanette Kidd Beauty and Day Spa and is my opinion. I have no business or personal link with Jeanette Kidd Beauty and Day Spa and have not been offered payment to write this review. By providing these comments you give Good Salon Guide permission to review and publish this information. Good Salon Guide reserve the right to edit comments for length, spelling or clarity where appropriate. As part of this appointment request Good Salon Guide will record your name, email address, telephone number and appointment details. This information will be passed to Jeanette Kidd Beauty and Day Spa by email, through the Good Salon Guide app and over the telephone. This data will not be shared with any other companies and we will manage your data in line with your preferences below.